Remarketing (or retargeting) is a relatively new trend in online marketing, so here is some information on how you can use it to increase your customer’s loyalty, conversions and sales. Remarketing is a technique that lets you reach people who have previously visited your site, and show them relevant ads across the web (including facebook) or when they search something on search engines. Let’s see a real example, that you can also try yourself: You visit www.booking.com and you search for a hotel room in beautiful Venice. You see 506 results and let’s say that you click on the first one “Savoia & Jolanda”. After that you close your browser and after some hours you go to read the startup news at www.inc.com . 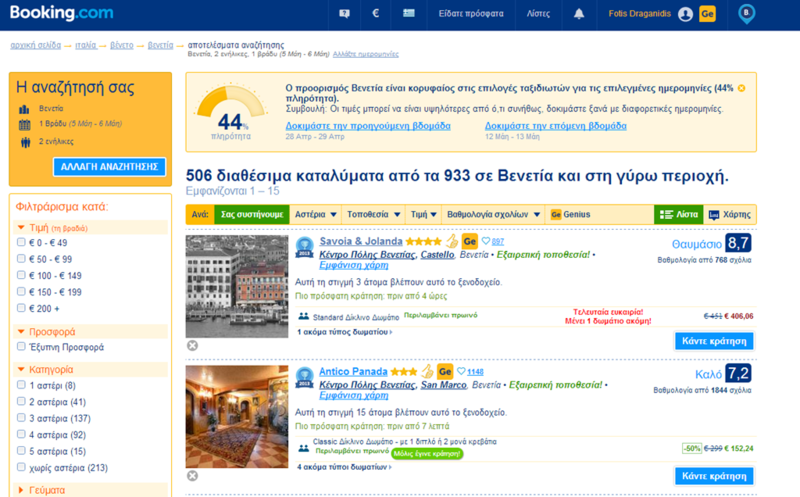 And there you see an ad about the same hotel you were looking for at booking.com, “Hotel Savoia e Jolanda”. Congratulations, you have just been “remarketed” by Booking.com! This same ad may also “hunt” you at other online media estates, e.g. facebook. The cookies do all the work. When you visit booking.com, the site gets a cookie with your behavior in the site and sends this to a retargeting platform. In the retargeting platform, there are specific set of triggers, rules and ads. 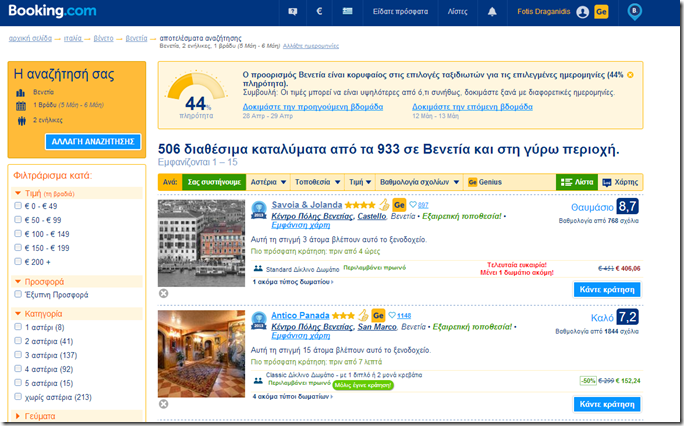 For example, “show this ad on facebook and on the web for up to 7 times, to a user who has been searching for this hotel”. Or, “show this ad to all the users who have visited the signup page but have not completed the process”. The way that remarketing works is also one of the reasons that many sites let you know that “This site is using cookies – do you accept them?”. E.g., when you go to visit the Web Summit’s site, you will notice that message as an opt-out information. You pay for impressions and there is usually a premium on what you would pay if you set up the same ad campaigns on your own. There is no “cheap” or “expensive” answer, as it all depends on the ROI you get from the money you spend. 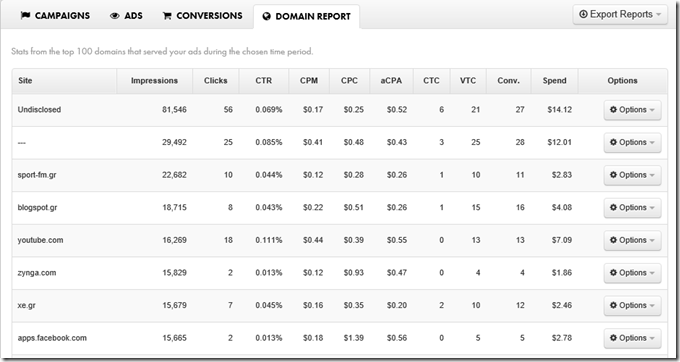 Perfect Audience platform gives you 60USD ads for free to help you test remarketing. Adroll also provides a free trial. 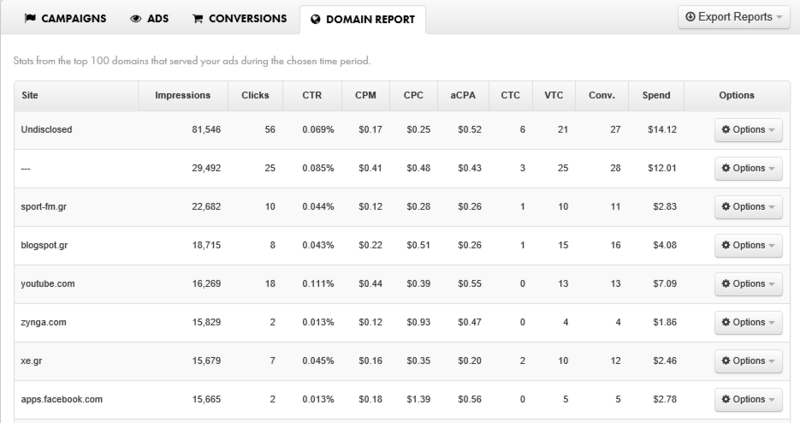 You can also get specific metrics on the ROI of your ads at each website it is displayed and you can track the conversions that you need (e.g. 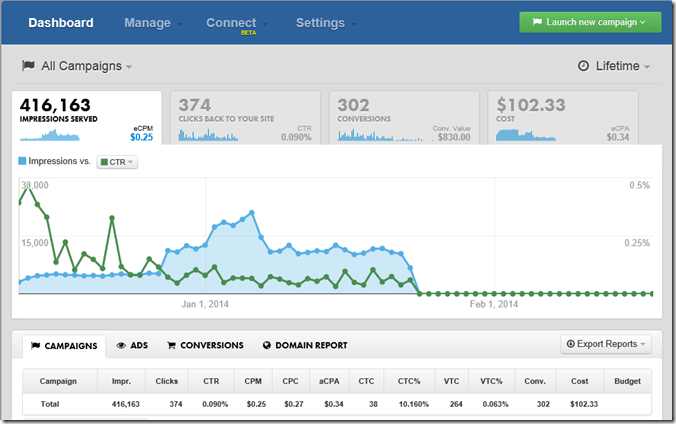 a conversion metric might be “user signup” or “purchase of one product”). So, in the example below you can see that a remarketing ad at xe.gr had 15.679 impressions, costed 2.46USD and had 12 conversions (e.g. someone gave his email). This means that each email gathered had a cost of 2.46/12 USD. 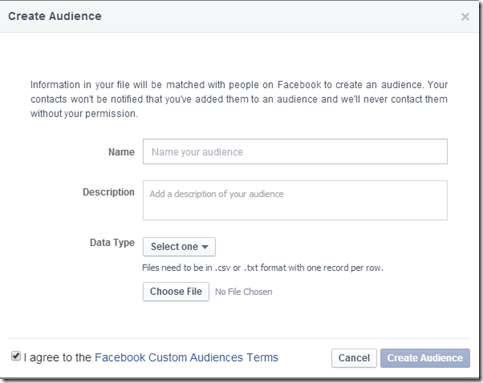 You can also try “manually” to do a form of remarketing with facebook. To try this, you need to do two things: A) Create a custom target audience (e.g. 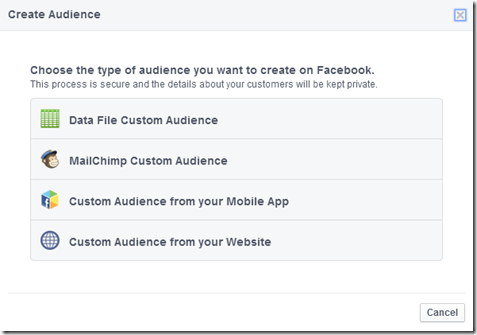 using Facebook UIDs or your email list) and B) Create an ad that is only displayed in this custom audience. Then,choose “Custom Audience” and then select “Data File Custom Audience”. Finally, upload a CSV with e.g. the subscribers at your free trial. 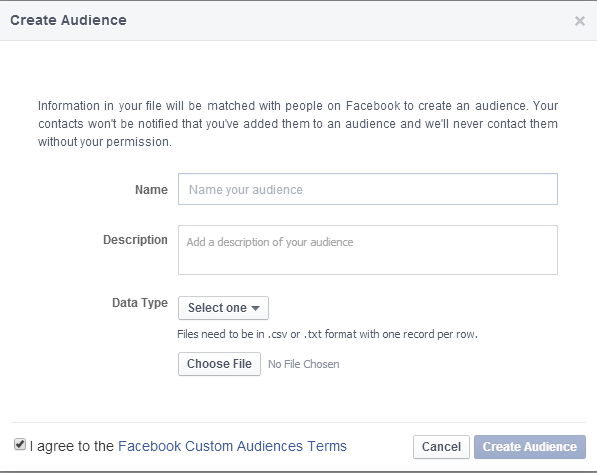 For the second step, creating an Ad, you can follow the standard procedure of creating an Ad and just select the new custom audience you created as the target of your ad. You could show a specific ad to the visitors of your website who have not signed up, encouraging them to sign up in order to receive a free ebook/free trial or a special discount. Udemy.com does this often in its campaigns. If a visitor signs up, checks out your offerings and leaves your website, you could show an retargeting ad with a coupon offering. E.g., Udemy.com does this often, as they show –75% discounted coupons in their remarketing ads. You could also show these coupon ads for a specific time or after a specific trigger – e.g. a visitor comes 3 times to your website without buying. Another example is the Web Summit remarketing: Yesterday I visited the Web Summit’s website and I now get their “2 for 1 offer” at techcrunch/mashable/inc etc. Here is the hack: Before you meet with investors, you send them information on your startup and they visit your website. You can use remarketing to them, so that until they meet you in person, they see your brand everywhere and they pay a closer attention to you. Usually, you are trying to close the following loop: Get a person to visit your website, then to signup with an e-mail, then to get interested for your offer and try it and finally to become a buyer. This means getting a lead and turning it from a passive visitor to an active customer or user. You can split this process into steps according to your strategy, put an ad with an action call at each step and set up triggers in the remarketing platform. This would “push” passive visitors to one step further in your plan to activate them. 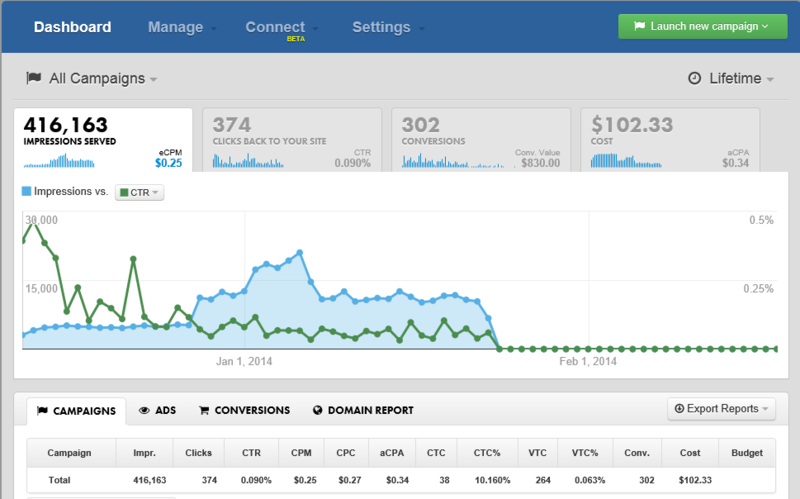 Do you have any experience on remarketing? If yes, please share tips and ideas!